Recently Elsevier released a paper about MyM written by Arthur H.W. Beusen a researcher and longtime user of the MyM simulation software at The Netherlands Environmental Assessment Agency. The integrated modelling environment MyM integrates design of mathematical models, execution, data analysis and visualization with the explicit purpose to facilitate the interactive communication about model structure and data between modellers, policy analysts and decision makers. The graphical user interface of MyM makes it possible to easily interact with the input data and analyse the output data. 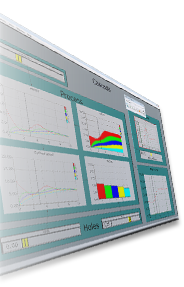 MyM offers a software environment in which development, simulation and visualization of mathematical models are truly integrated. MyM is already applied in several environmental sectors and is suitable for a broad range of problem areas. For more information about the paper click the link below!